2009, July 13: Grav-Sim, a C++ port of an extended subset of ACS, by Mark Ridler. Below you can read our various book volumes directly on the web. If you prefer to download a copy, you can choose one of our ACS release versions, which also include the computer programs discussed in the text. We are making all our ACS (Art of Computational Science) material available under the conditions of our ACS open source license. See the What is New? page for a description of new developments, and the FAQ page for answers to frequently asked questions. Having access to the source code is one thing. Having access to the tacit knowledge that went into the process of writing the source code is quite something else. In our Manifesto below, we describe the philosophy behind the ACS initiative. Briefly, we want to go beyond the notion of open source to the much wider notion of open knowledge which includes a full background description for the design decisions made while writing the source. The Maya project is directed toward the construction of an open laboratory for dense stellar systems, such as star clusters, star forming regions, and galactic nuclei containing one or more massive black holes. The presentation is centered around dialogues between two astrophysicists who are developing the Kali code for simulating dense stellar systems. In the process, they construct an open lab, Maya, to set up initial conditions, run the Kali code, and analyze the results. We are currently in a start-up phase, as described in our newly revised five-year plan. For more volumes, see the The Maya Project page. For a three-line description of each volume, see the The Maya Development Series page. The ACS Toolbox is a collection of software tools, useful for large-scale simulations in any area of computational science. These tools were developed within the context of the Maya project, but they are presented here as a standalone package. In order to use these tools, the user does not need to know anything about the Maya project (this is our goal; the full decoupling from Maya will probably take place in 2007). Currently, the ACS toolbox contains the following six tool modules. We plan to provide stand-alone introductions to each one, but for now we give the references to the corresponding Maya volumes. By clicking on the title, you will be redirected to the respective web pages. If you prefer to read each volume in postscript or pdf format, click on the word "PS" or "PDF" listed after each title. Moving Stars Around; we also provide a pdf file and a postscript file (gzipped); see also Rob Knop's wiki version. This book can also serve as an introduction to stellar dynamics, and as such can be used for self-study, as well as in a class room. It's main topic is the two-body problem, and it is fully self-contained, providing introductions to the physics, mathematics, numerical analysis and code writing involved in a modern object-oriented approach. Future volumes will continue with the general N-body problem. It is still useful, offering a detailed explanation of a variable time step Hermite code written in C++. It will be deprecated in 2007-2008, when it will be gradually replaced by the volumes within the Maya school series, starting with the new volume with the same name, mentioned above. Virtual Laboratories and Virtual Worlds , in Dynamical Evolution of Dense Stellar Systems, eds. E. Vesperini, M. Giersz and A. Sills (2007). Modeling Dense Stellar Systems , Prog. Theor. Phys. Suppl. 118, 187-209 (2007). Virtual Laboratories , Prog. Theor. Phys. Suppl. 164, 38-53 (2007). Dense Stellar Systems as Laboratories for Fundamental Physics , to appear in A Life With Stars (2007), eds. L. Kaper, M. van der Klis and R. Wijers [Amsterdam: Elsevier]. Galaxy Dynamics N-body Simulations, a self-teaching project, created by Jakub Schwarzmeier. Visual Python N-Body, a solar-system dynamics package, created by Rodney Dunning. Kaliope", a gravitational N-body simulator, written by Jason Underdown. Grav-Sim: Gravity Simulation on a Desktop Computer, an evolution of the ACS code, by Mark Ridler. The ACS logo, formed by the letters A, C, and S, was designed by Piet Hut (2003). 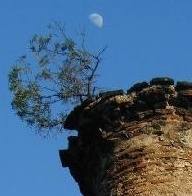 The Tower in Istanbul was photographed by Piet Hut (2001). 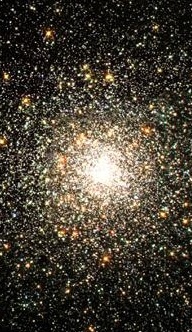 The globular cluster M80 was photographed by the Hubble Space Telescope. 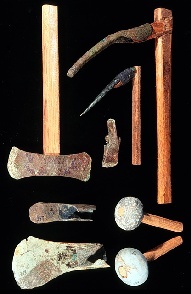 The toolbox picture comes from a bronze age shipwreck excavation at Cape Gelidonya by the Institute of Nautical Archaeology. 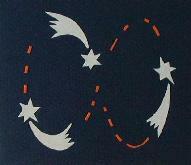 The picture of the three stars in a figure 8 orbit was designed by Maryleen Schiltkamp (2001). The picture of the yang-yin (i)go/weichi/baduk stones was designed by John Tromp.